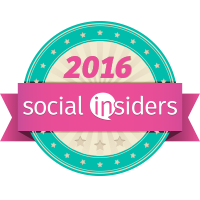 ***Disclosure-I received this product to test and review but that all opinions are my own. This Wednesday we celebrated the First Day of Fall! We are back in the groove of things. School is back in session, work is work, and Summer is gone. Our school district celebrated the First Day of Fall and gave the students a day off-Fall Holiday! I took half a day off to hang out with my son. He has been doing so well in school this year. I am so proud of him. After a hard day of school or work, it is great to just take a small break. 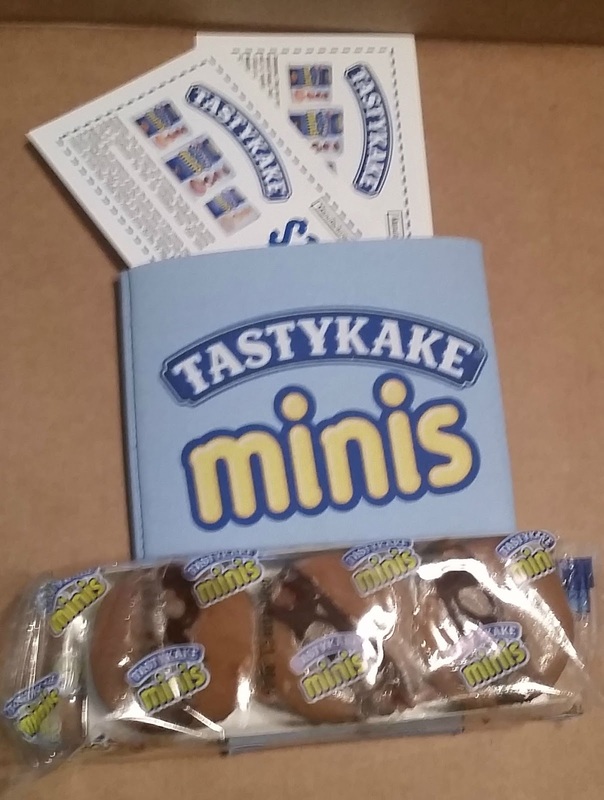 Have you ever tasted TastyKake? 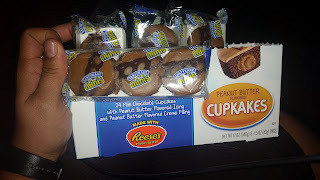 TastyKake has a variety of products which include cupcakes, bars, donuts, snow balls, and so much more. 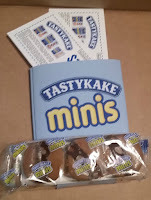 Thanks to Influenster for sending me the TastyKake VoxBox. New TastyKake Peanut Butter Cupcake Minis made with peanut butter filled flavored icing and peanut butter flavored creme filling. Every afternoon when I get home from work, I ask my kids how their day was. We talk about their challenges, trials, and successes. Everyday we can have mini wins. I try to teach them to look for the good things in life, at least one good thing that happened. And we celebrate those mini wins. 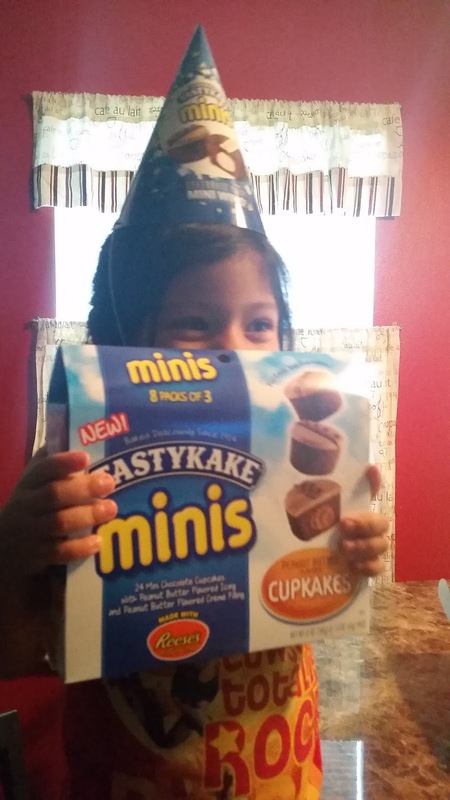 Today we celebrated with TastyKake minis for the win! These are so yummy! Reese in a cupcake....what a way to combine two of our favorite things. 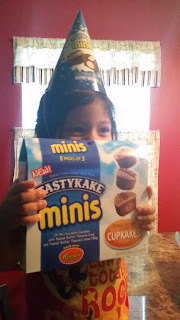 For more information on where to find TastyKakes, go to www.tastykake.com. 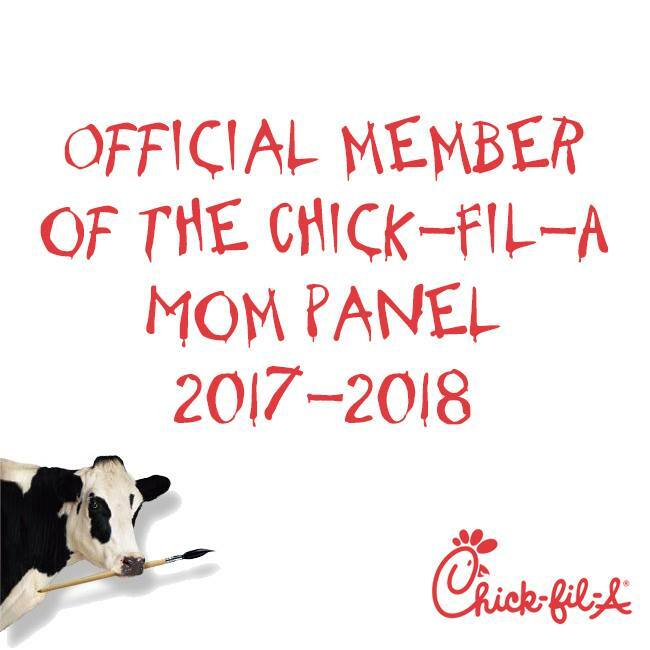 Also you follow them online on Instagram or Facebook.